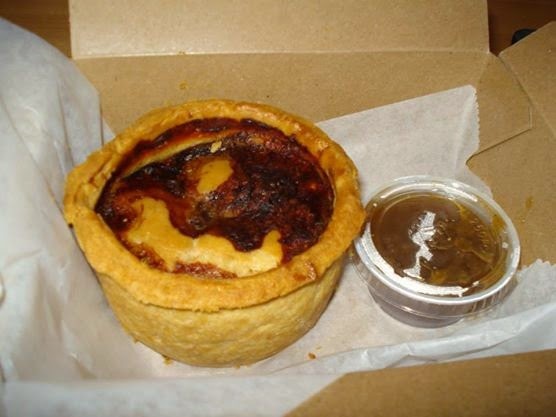 Doc's Scotch pie was filled with lamb and served with a side of delicious lamb stock gravy. I only had a bite, but it was really quite good. Crusty with thick chunks of lamb and a salty finish. A nice alternative to the many deep fried items on the Pub Chip Shop menu. When I go back I'll probably try the chicken mushroom pie or the steak and oyster pie. Although the pies may look intimidating, they are on the small side but still appropriate as an entire meal for most reasonable people. They also work as an appetizer for someone like me who only wants to live to see 45. I'm in love with the chipper. 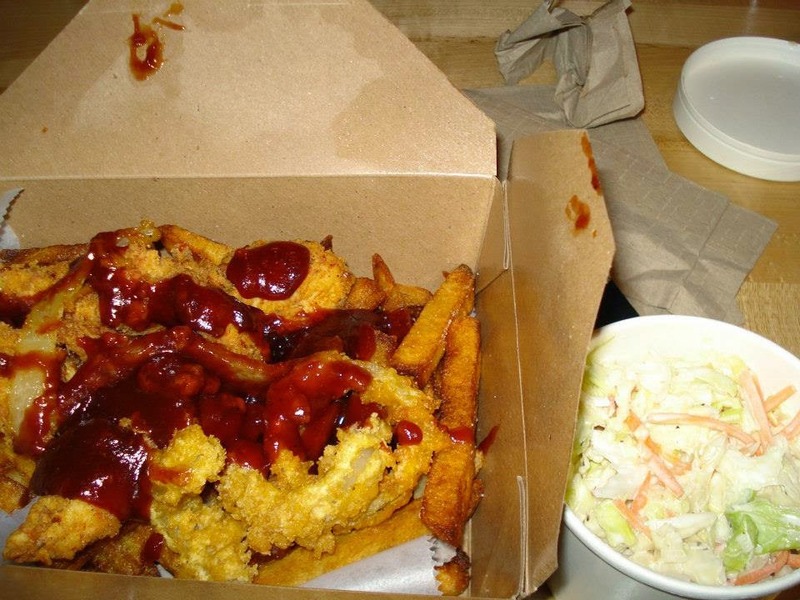 This chicken mess consisted of fried chicken with onion rings and french fries thrown in a box and covered in bbq sauce. The cole slaw was extra, but I felt it was necessary considering the amount of grease I was about to consume. The presentation was better on the Pub Chip Shop twitter feed (@thepubchipshop) because they garnished the box with some green onions and cheddar cheese. Although it may look like a mess, it was a box of heaven. Despite the slathering of bbq sauce, all of the ingredients were perfectly crisp and well seasoned. Some of my friends have complained that the fried options from the Pub Chip Shop were a little heavy for their tastes. Have you people ever had fried food before? It is supposed to be greasy as hell! That's why you eat it after an evening of getting loose at the bar, you dingus.